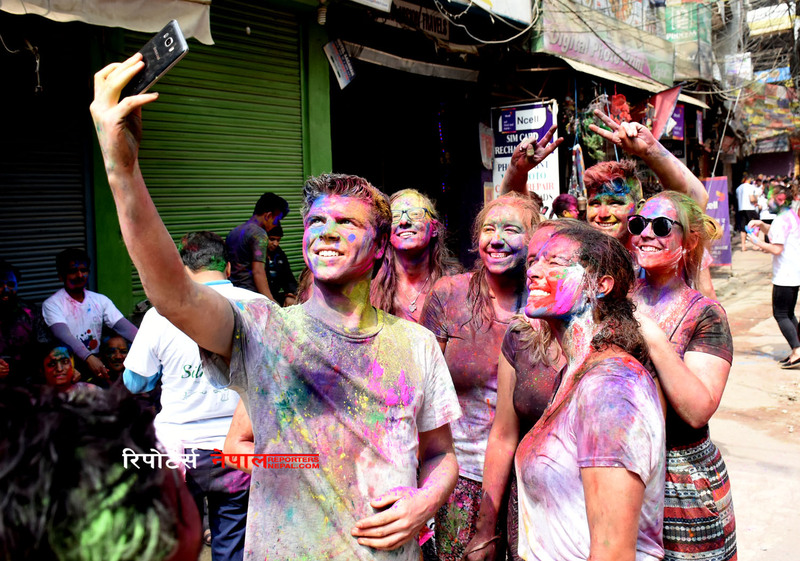 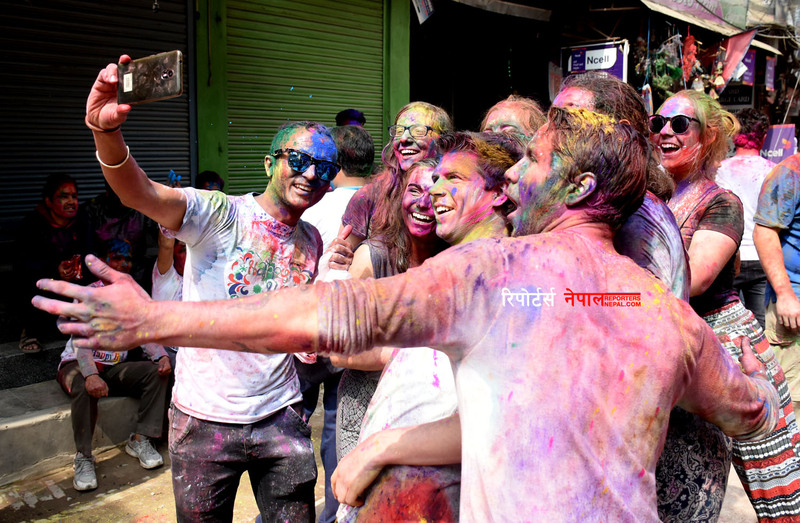 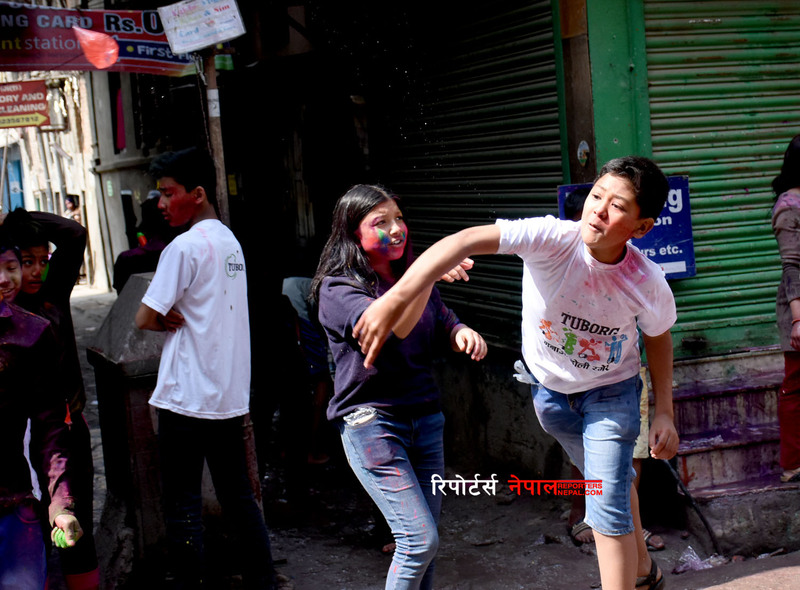 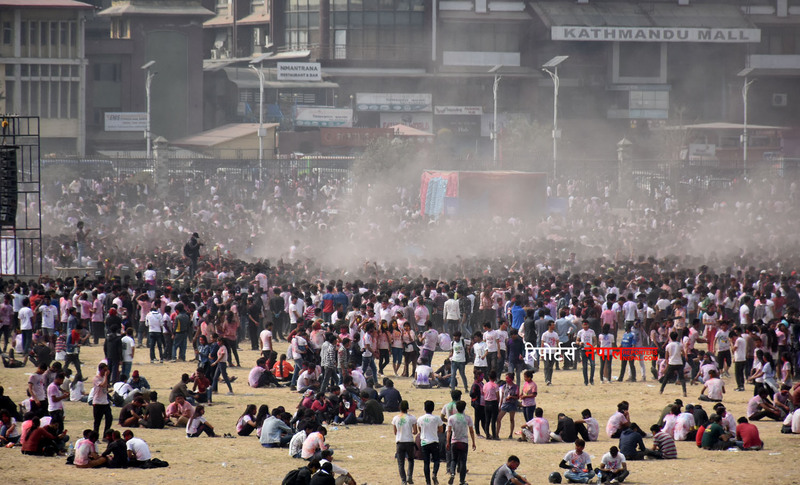 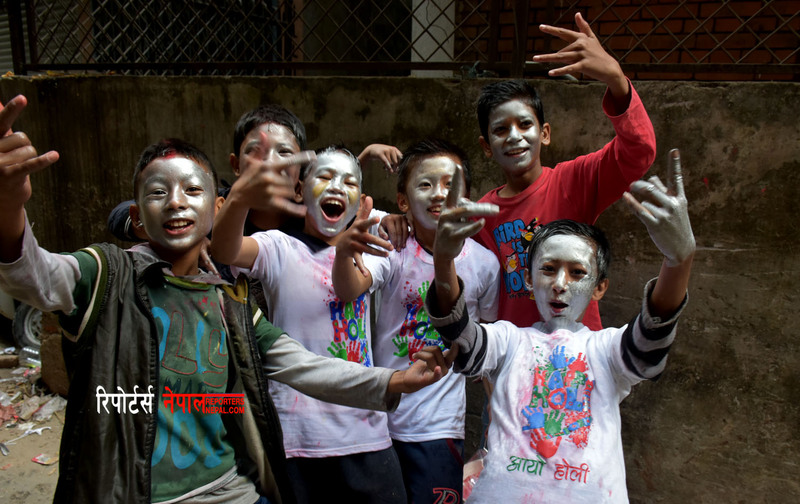 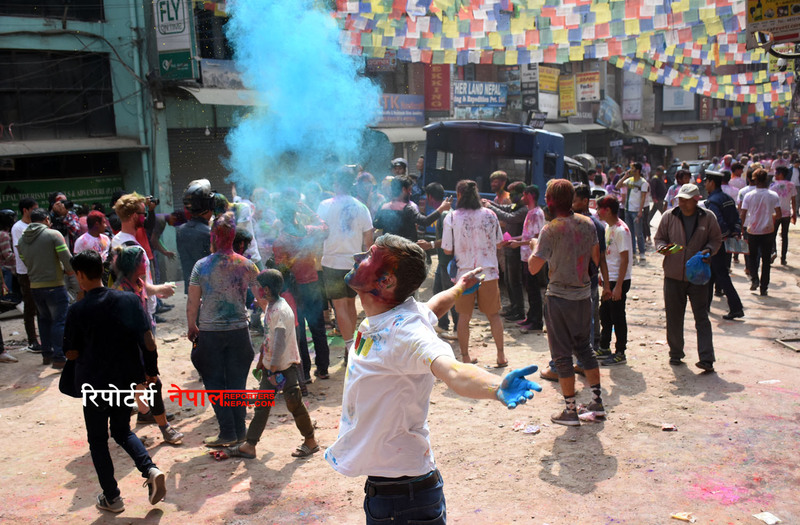 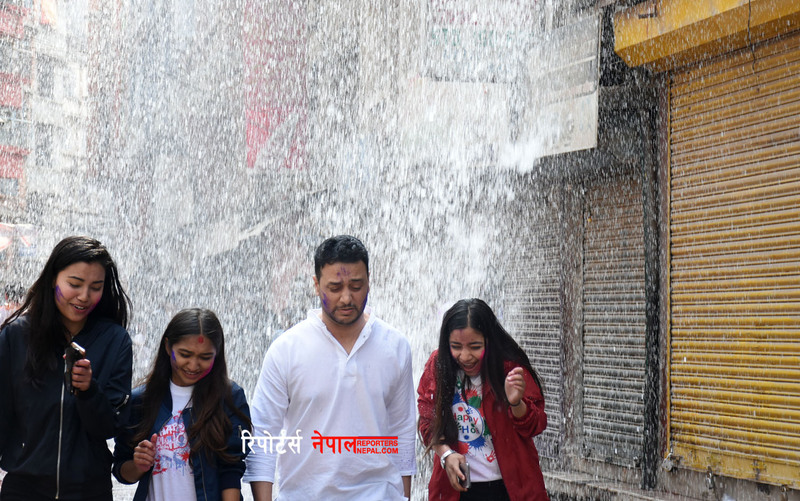 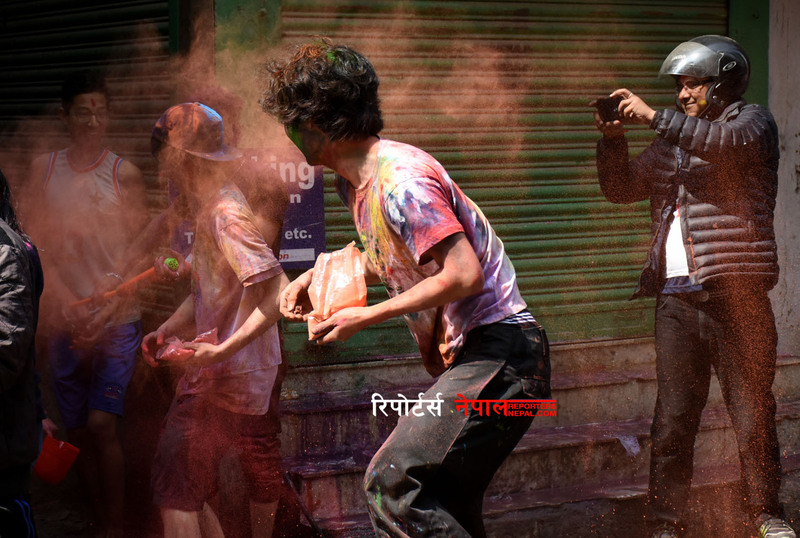 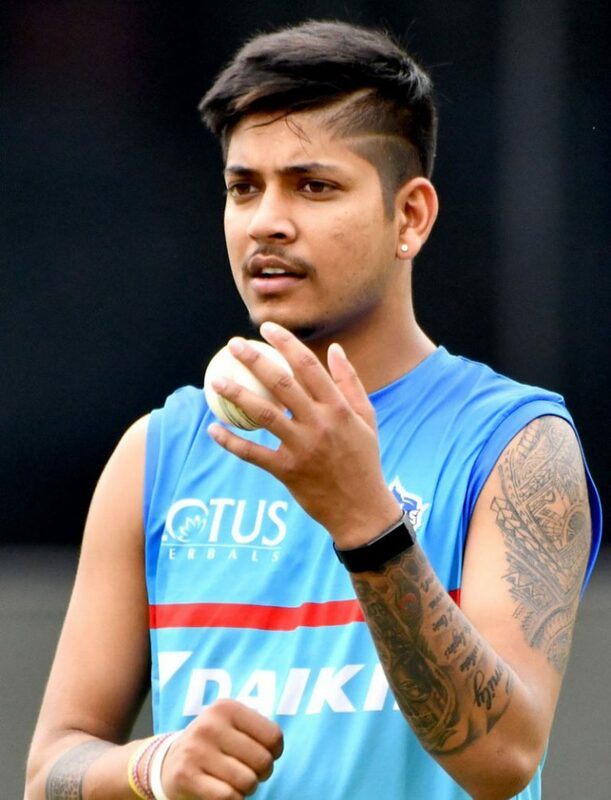 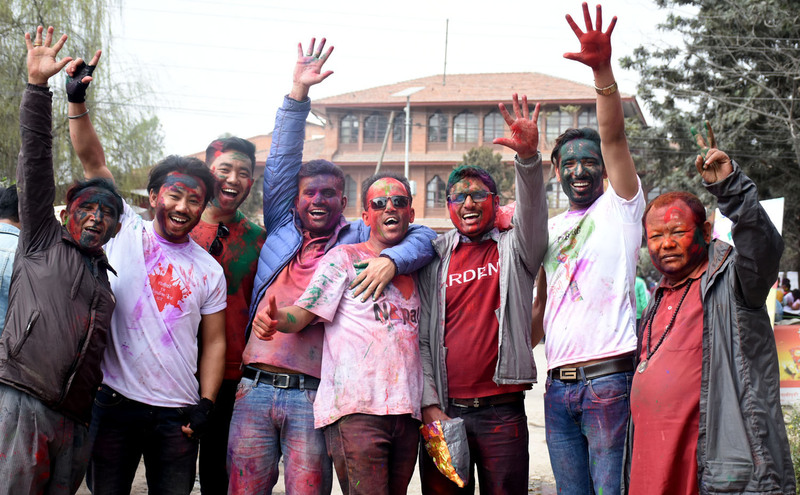 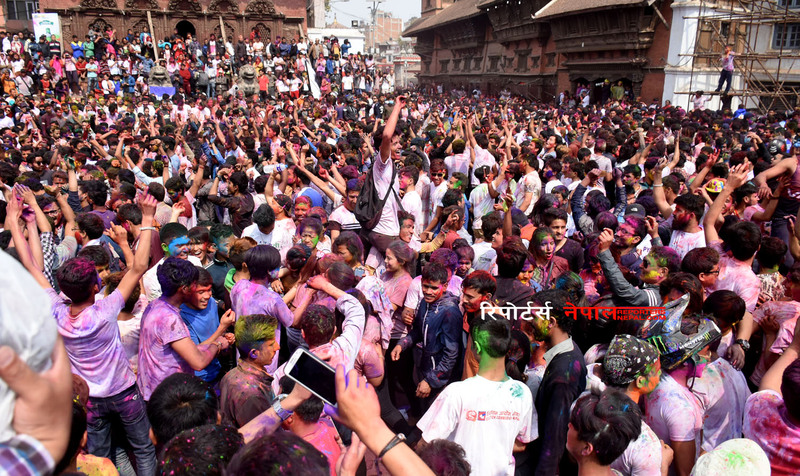 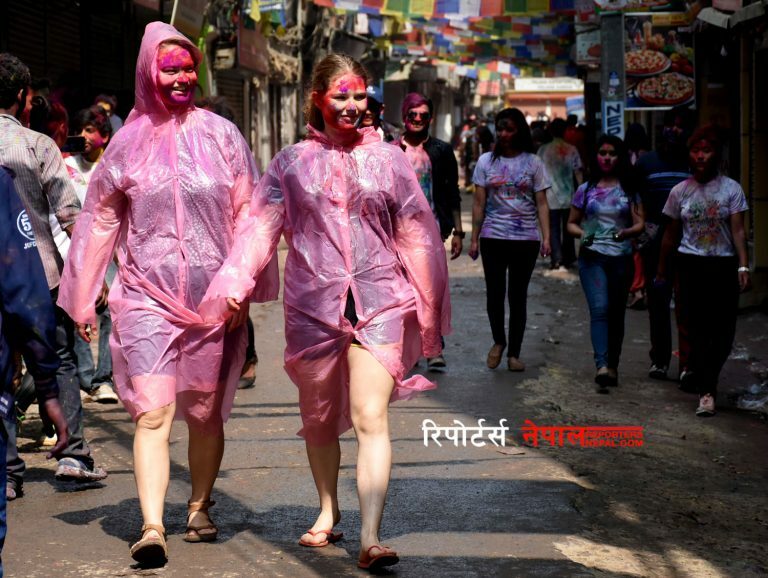 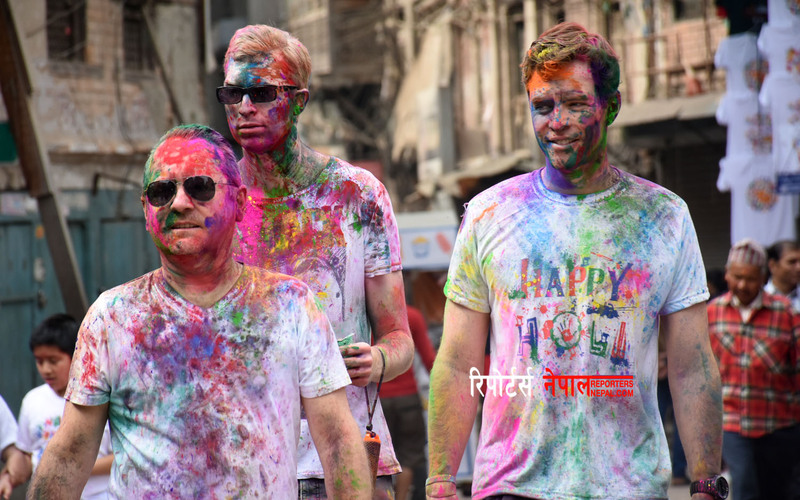 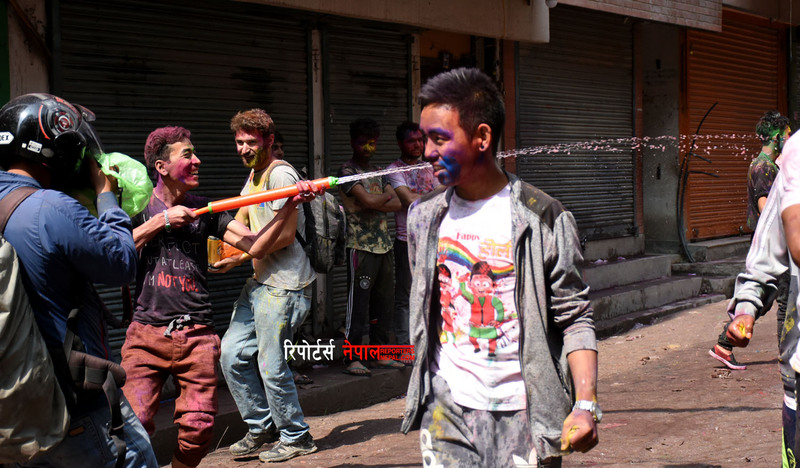 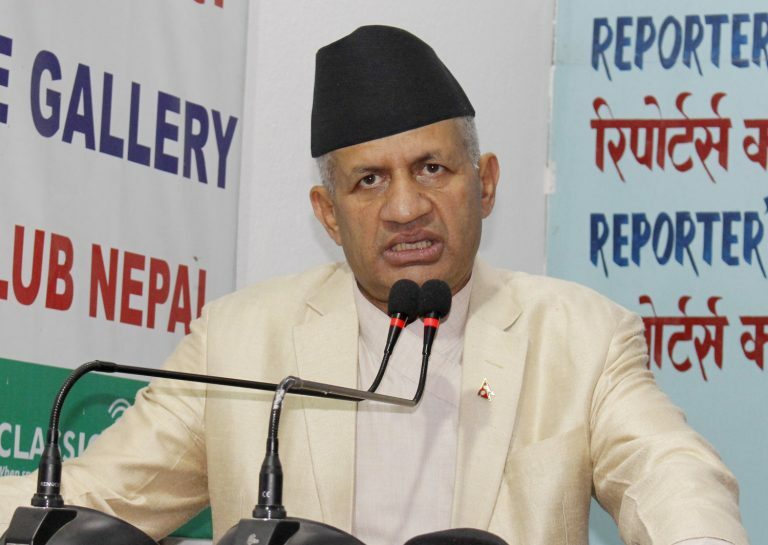 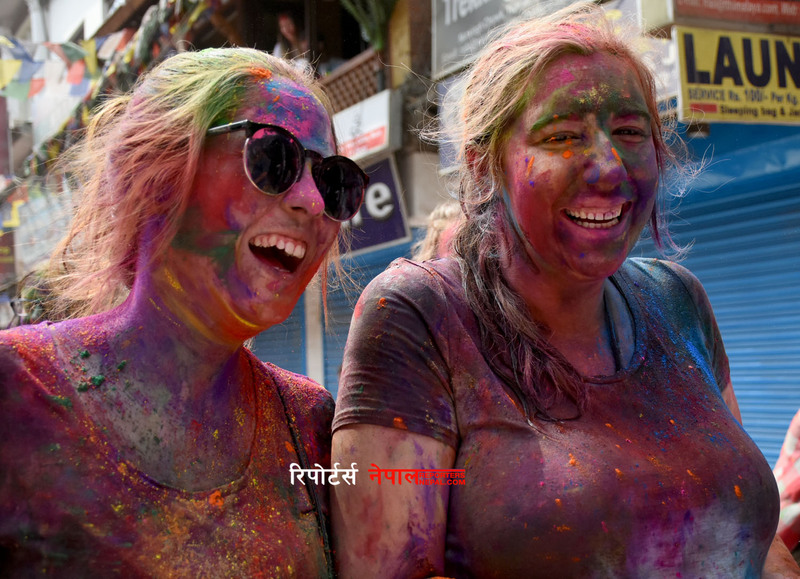 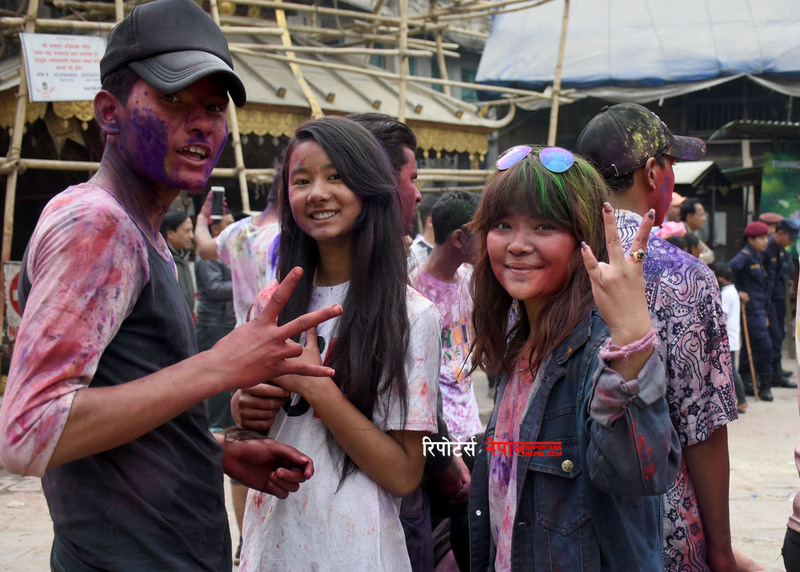 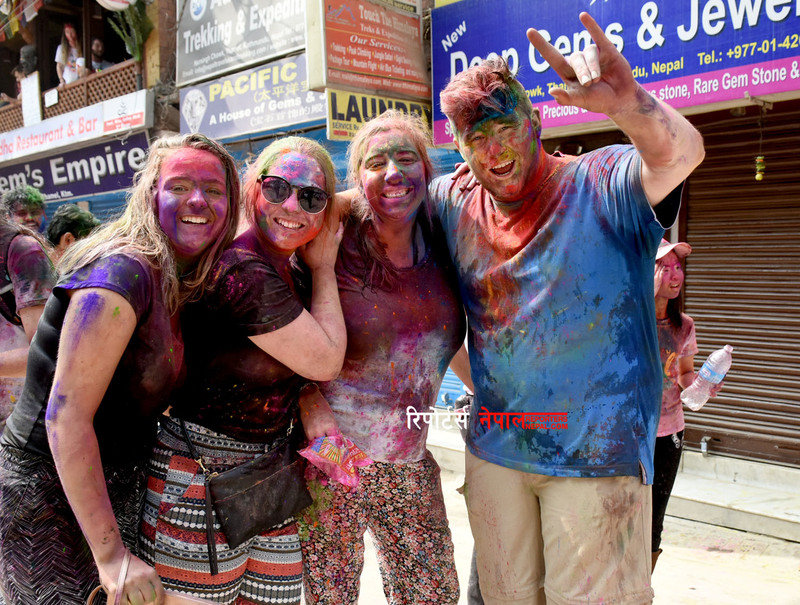 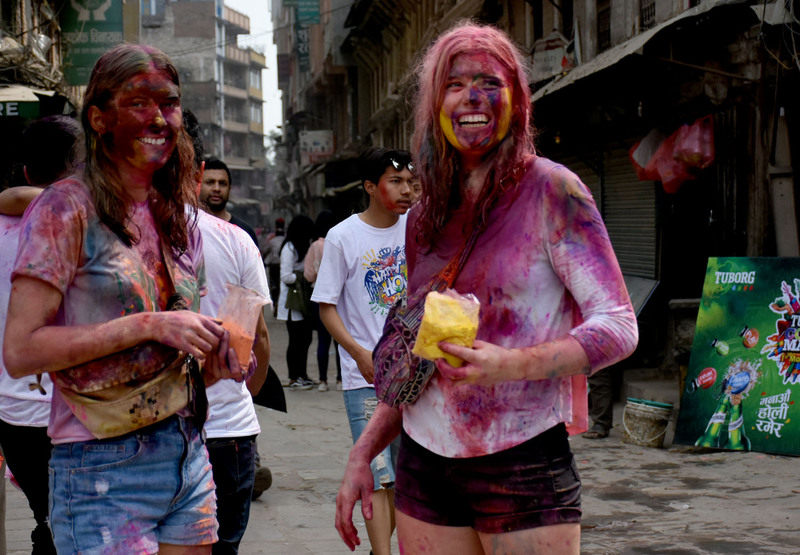 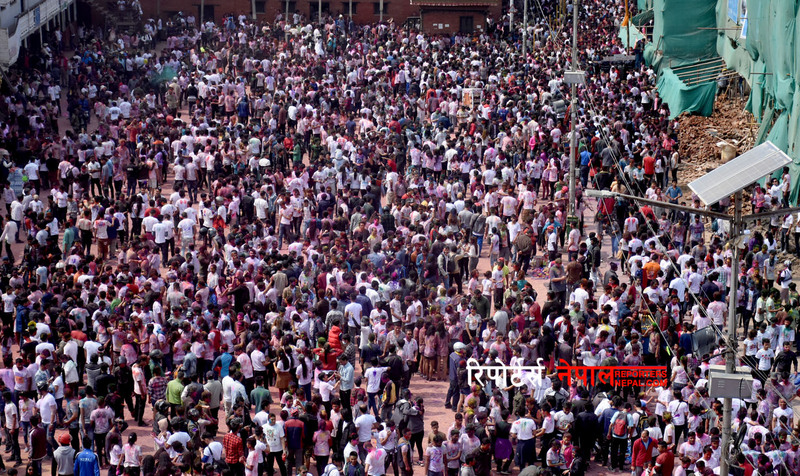 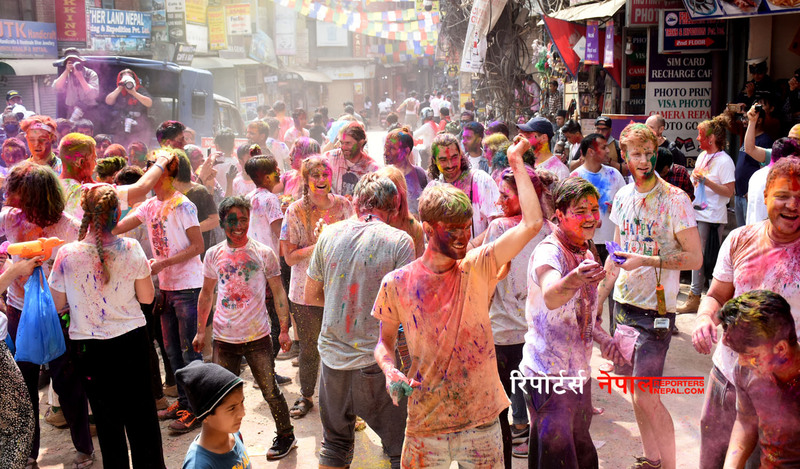 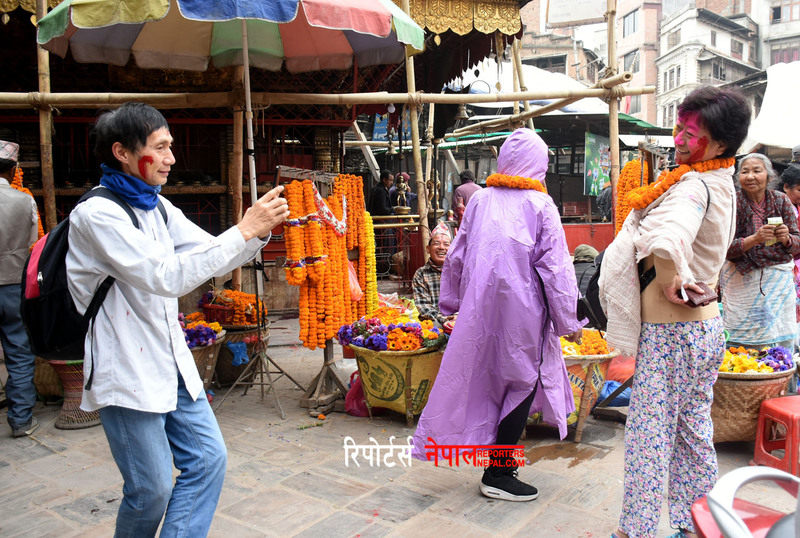 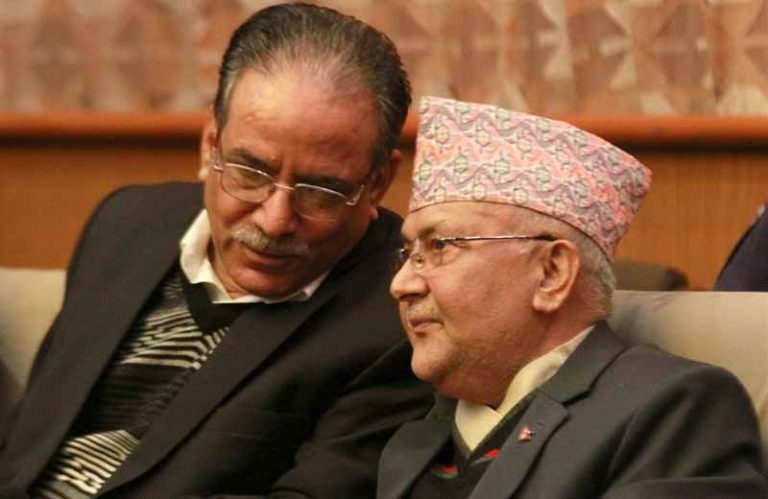 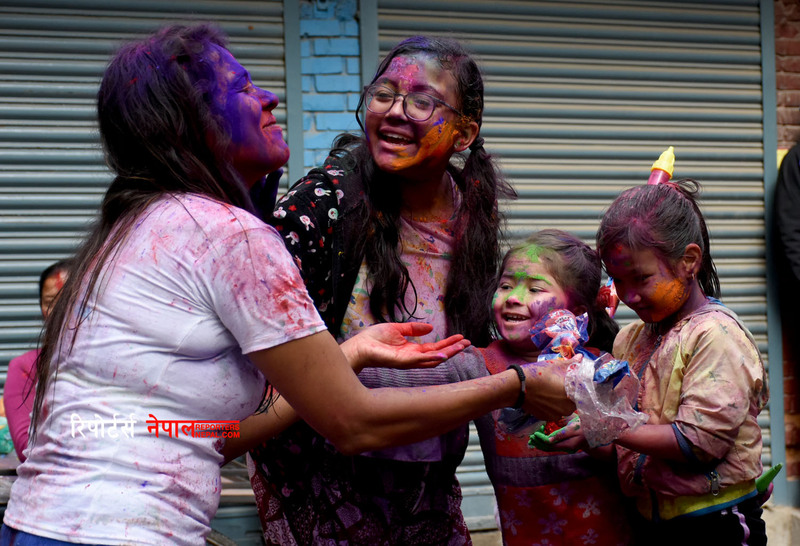 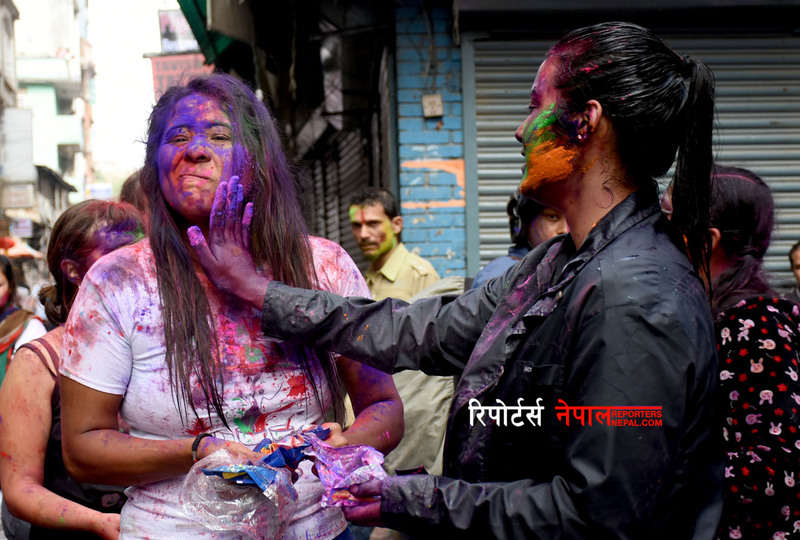 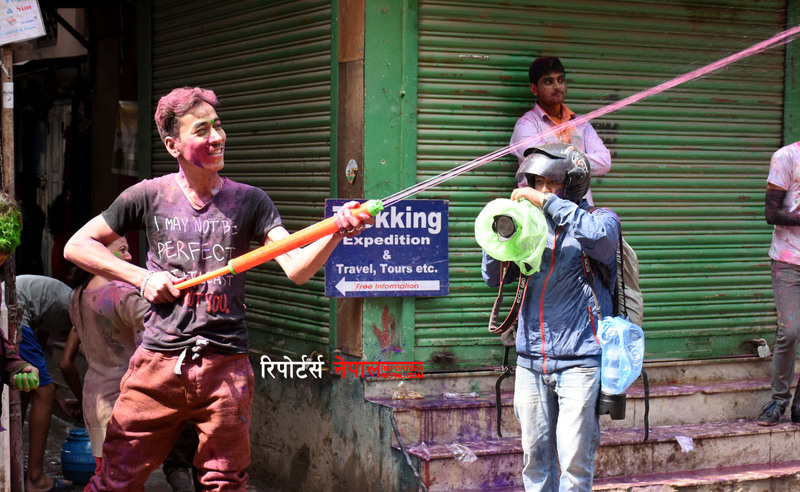 KATHMANDU, March 1: Fagu Poornima, the festival of colors, is being celebrated with much fanfare in hilly areas, including the capital city, today, while tomorrow in the Terai region. 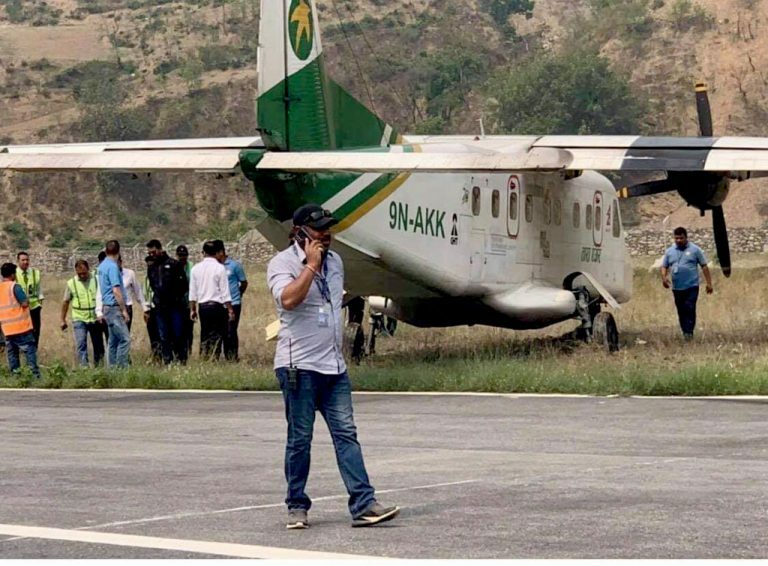 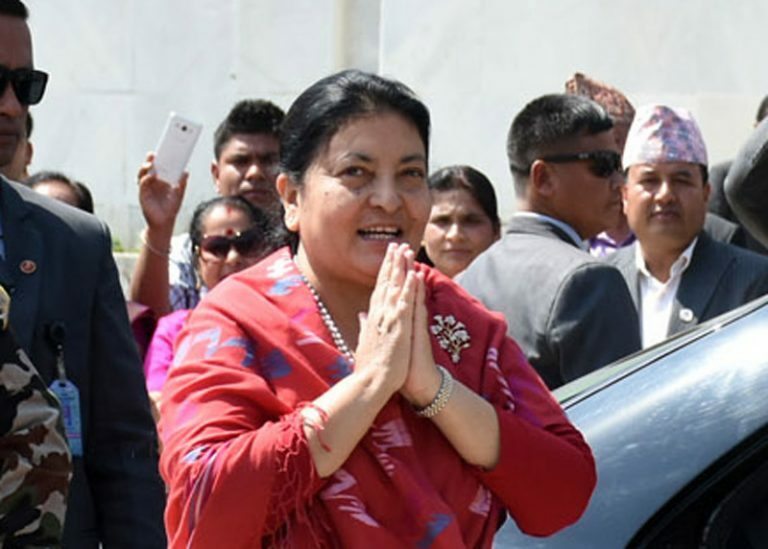 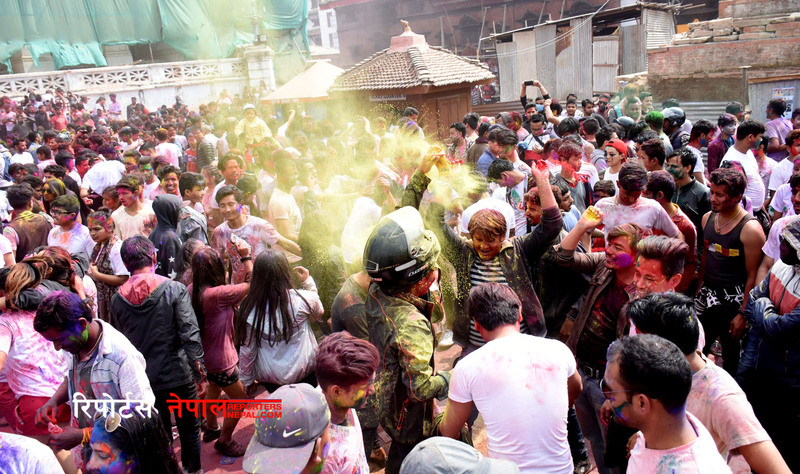 People have gathered at various parts of the valley including Basantapur, Bhrikutimandap to celebrate and exchange greetings of Holi festival. 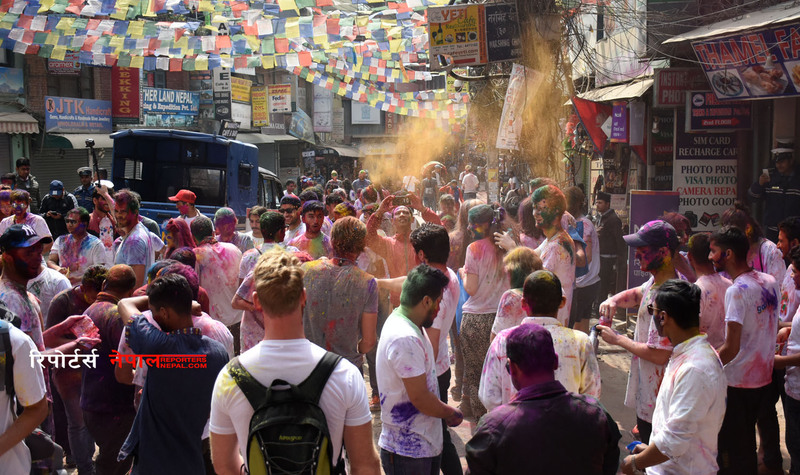 Locals and tourists all celebrate and enjoy the festival.